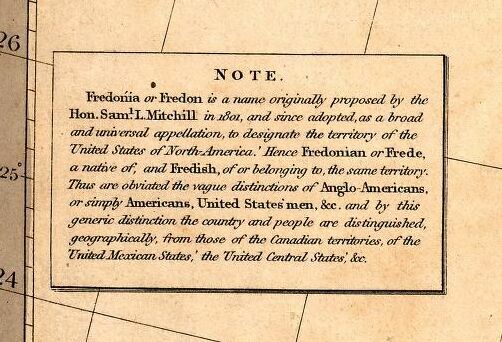 Fredonia is the name used to designate the United States of America in this atlas (see note below). 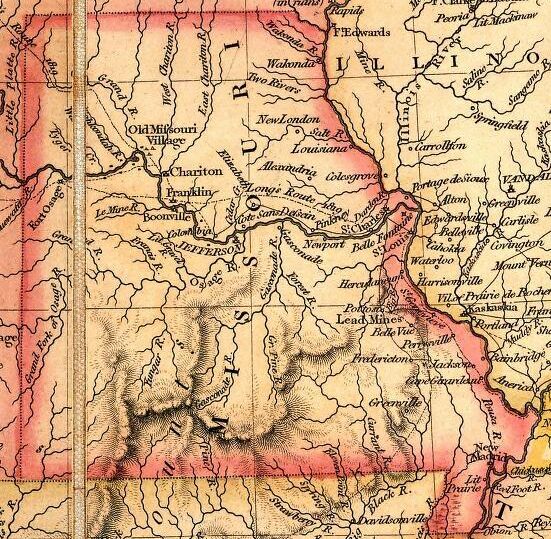 Mr. Rumsey states that this map copies almost literally three earlier maps: Lewis and Clark (1814), Long (1822) and Arrowsmith's Mexico (1820). Also, he can not tell any difference in this third edition then that of the first edition of 1830. 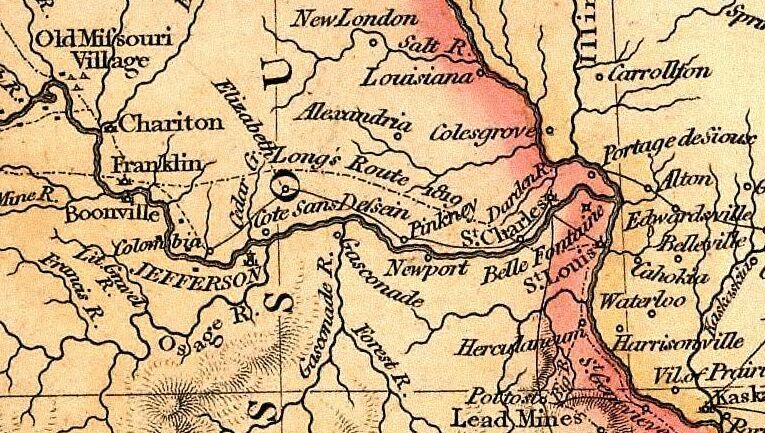 Area of Gasconade and Osage Counties.